Not your ordinary pedestal fan, the Maxim 50cm Pedestal Fan will give you a huge amount of air flow compared to your average fan. The fan is height adjustable up to 140cm and features 80 degree oscillation or fixed operation. 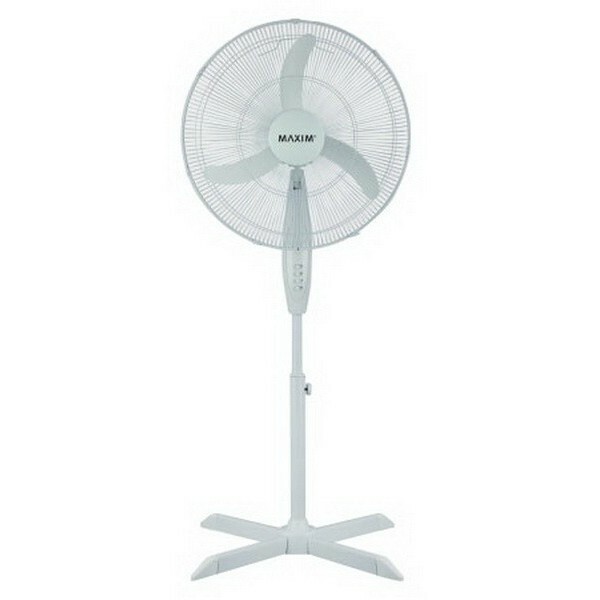 Extra Large 50cm Pedestal Fan. Oscillating to 80 degrees or Fixed Operation. Height Adjustable – 140 cm.